You can't ignore your cravings, so learn how to tame them with tools from the Drop 5 team. 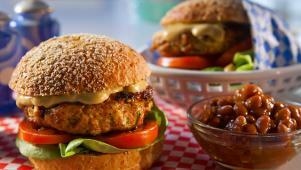 Recipes include Texas Chicken Burgers served with a side of Baked Beans and the perfect burger partner, Oven Baked French Fries -- with a twist! Plus a fruit-filled Sangria that is festive and figure-friendly. Special guest Dr. Ramani Durvasula sheds light on the psychology behind cravings and Aarti Sequeira navigates the pizza parlor with Good Housekeeping Nutrition Director Samantha Cassetty. Melissa prepares Texas Chicken Burgers as a healthier alternative to beef. 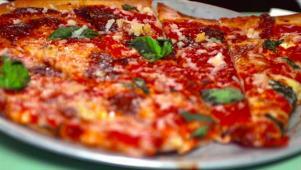 Samantha Cassetty gives Aarti tips on eating pizza without dieter's guilt. Melissa tames cravings with a healthier version of oven "fried" potatoes. Dr. Ramani Durvasula explains the science behind certain food cravings.